In tests conducted at Cornell's Sensory Evaluation Center, consumers liked green tea brewed using tap water more than using bottled water, because it produced a sweeter taste. "But, when steeped in bottled water, the green tea contained about double the amount of the antioxidant epigallocatechin gallate (EGCG) - which makes it more bitter than tea brewed with tap water," said Robin Dando, Cornell associate professor of food science. "If you're drinking green tea for its health properties, you should be using bottled water," Dando said. "If you're drinking tea for taste, tap water is better." "The average consumer for black tea isn't able to tell the difference. Whether it was tap water or bottled water, the taste differences are too subtle," said graduate student Melanie Franks, the study's lead author. Franks is a tea specialist who once taught chefs at the International Culinary Institute (formerly known as the French Culinary Institute, founded by the late Julia Child). "Bottled water—where calcium or magnesium have been filtered out and where the iron concentration is brought down a notch—is able to extract the EGCG more efficiently," said Dando. 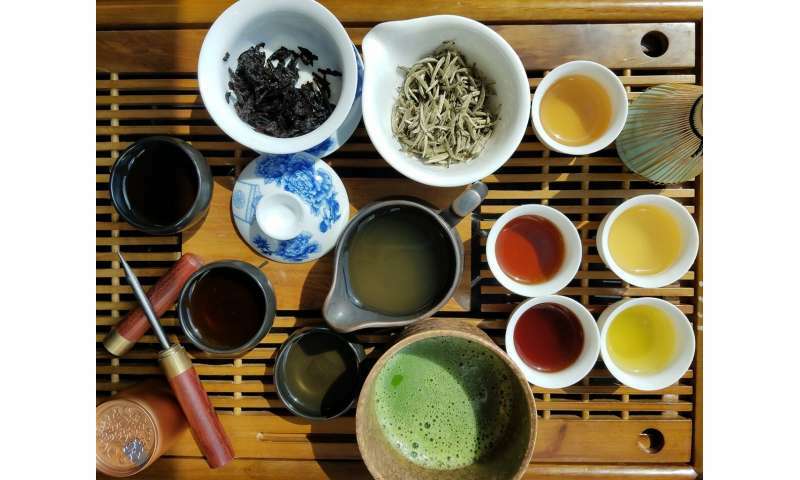 "With purer water, you get more health benefits out of the tea."